Matrix Resourcing | Promotional Products and Apparel | Minneapolis, NM - 5 Out of the Box Promotional Products We Love…and You Will Too! 5 Out of the Box Promotional Products We Loveâ€¦and You Will Too! We’ve all been stuck in the same rut while trying to come up with some original ideas to appeal to customers. Are you in need of some extra product inspiration? If so, here’s a little extra cup of creativity! A pen’s a pen, right? Not this one. It has erasable gel ink. Really erasable, not like the ones you had when you were a kid. The gel is thermo-sensitive and disappears with the friction caused by the erasing motion. That also means that when you expose that paper to freezing temps, it comes back! How many times have you been somewhere without an outlet and your smartphone is about to die? Power banks are fairly common these days and while those are great, the one downfall is that unless you’ve previously remembered to charge your power bank when you go to use it, you end up really disappointed and powerless. 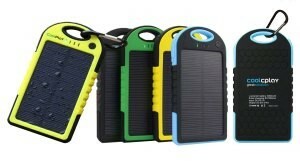 With this solar powered charger, all you have to do is put it in the sun! This is such a great gift or giveaway for the outdoorsy type, the on-the-go business professional, or just anyone who uses their phone constantly and can’t seem to remember to charge their power bank. 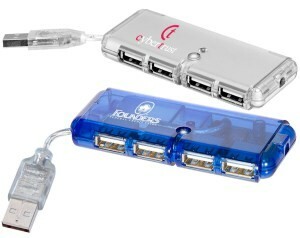 Speaking of tech items, this mini USB hub has 4 ports instead of one. Genius! In today’s dynamic and constantly on-the-go society, this small, but powerful item will appeal to a wide range of audiences. You can never have too many USB’s obviously, but when you are traveling with your laptop and you have 5 different things to plug in, this little guy is going to be your new best friend. 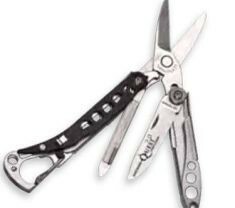 This tiny tool has scissors, a file, a knife, tweezers, a bottle opener and a mini-screwdriver. How many times have you used any one of those tools? Now you can have them all together in one place! Again, with the writing instruments? Yes, because much like the aforementioned pen, this is no ordinary highlighter! This is made from a fluorescent gel that doesn’t smear or bleed. They are fun to color with an addition to their intended use. Don’t be afraid to think a little more outside of the box when it comes to the promo products you are sourcing for your customers or employees. Sometimes all it takes is to change your frame of mind… what do you think is cool? Chances are, someone else will think so too!